Happy Friday!! Here are my favorites for today. 1. 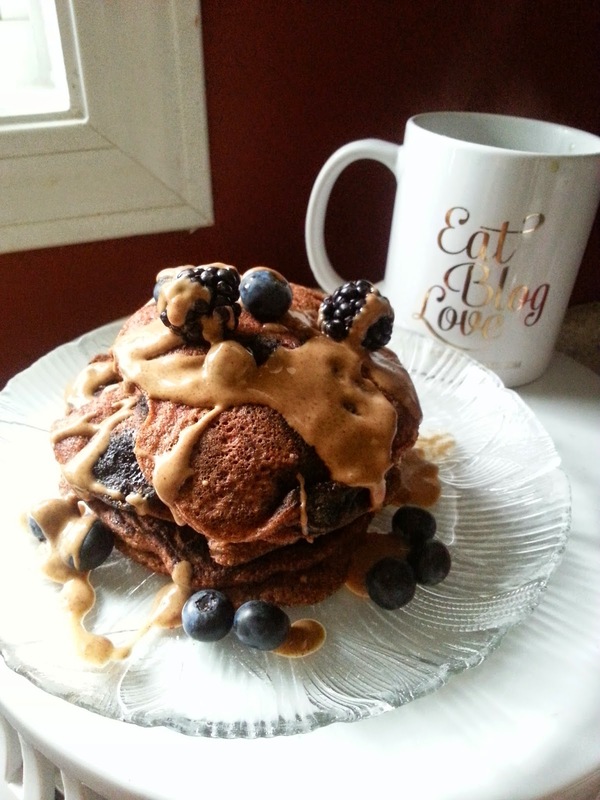 Paleo Blueberry Pancakes - I made these for breakfast today, and topped them with almond butter and a couple of blackberries. Yum! My tummy is so happy! 2. 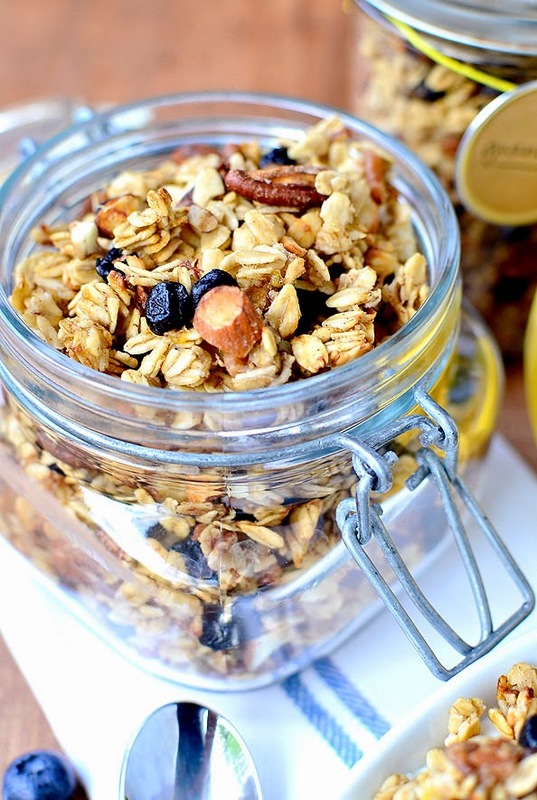 Speaking of blueberries, I believe I will be making this over the weekend - gluten-free blueberry banana bread granola. Sounds so good! 3. 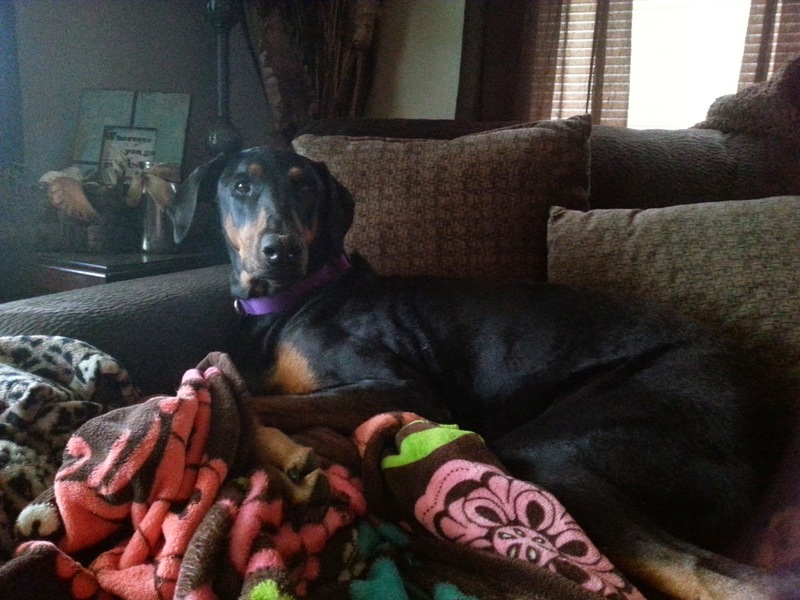 This girl is the ultimate stealer of blankets and pillows. And she does not care what you think. 4. 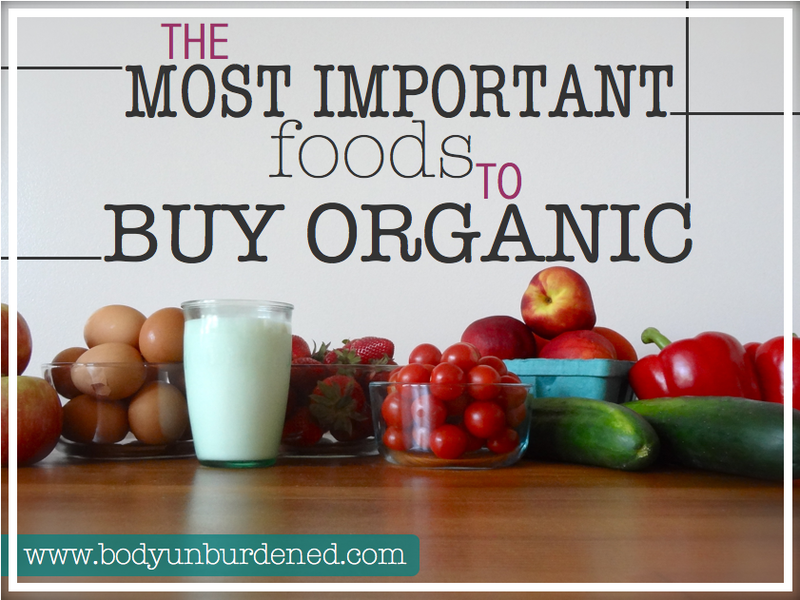 Ever wondered what organic produce is best to buy? Here is a great guide I found on Pinterest. 5. NORDSTROM ANNIVERSARY SALE! Here are a few of my favorites from the sale. All summer essentials! Thanks for reading! Have a wonderful weekend! Stopping by from the link up. I've already spent about $500 at nordstrom this morning eek. Great article on what to by organic by the way! Stopping by from Friday Favorites. My dogs totally steals all the covers! Any type of blanket or throw belongs to them and that is it! I have checked out the Nordstrom website like ten times already telling myself I don't "need" anything. The struggle is real! Thanks for sharing the yummy breakfasts! My dog loves to dig in he blankets and make a little nest for himself! How delicious do these look?! So yum! Those pancakes look so yummy all the time. That granola looks and sounds so tasty & adding banana bread even better! Thanks for sharing that guide for buying organic food. Have a great Friday! Great link, Julie!! I totally needed that! And those pancakes look amazing. How do you do Paleo all the time? The thought is just daunting to me. Props to you though!! !